This is arguably the strongest pain cream that we carry here at IthacaSports. Containing three potent topical analgesics (menthol, camphor, and methyl salicylate), this product is formulated to offer serious relief for those suffering from sprains, strains, backache, tendonitis, or arthritis pain. Unlike the standard Flexall formulations that focus on a cooling effect, this version has a distinct warming sensation because of the inclusion of the camphor. Cautions and Warnings: This product is for external use only. Do not use if you are allergic to salicylates (including aspirin) unless directed by a doctor. Do not bandage tightly or use with a heating pad. Do not use either prior to or immediately after bathing. Keep away from eyes, mucous membranes, wounds, as well as open or damaged skin. Contact your physician or medical professional if swelling, irritation, or redness occurs. Can this product be purchased in a store and if so what stores. 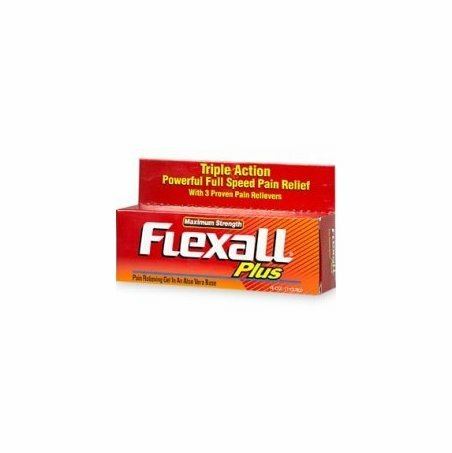 I have not recently heard of any big box stores carrying Flexall on the shelves. I am sorry we do not have any info on where to get it locally but we do offer free shipping online. 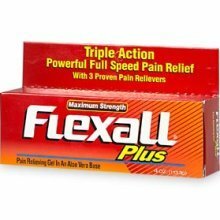 Will it help burning pain and soreness? Yes, we have heard from customers that it does help with these issues.